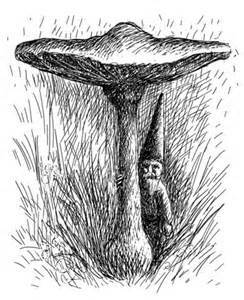 This week I want to write about Elemental Correspondences. We will start with ‘Air’ and all the Essential Oils that correspond with ‘Air’. 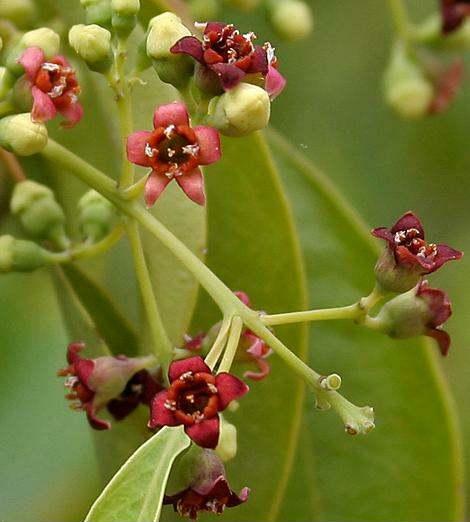 Wear as a Body Perfume to invoke the powers of Air, to promote clear thinking, and to overcome addictions. Wear for intellect, reason, new beginnings, and change. Wear for communication, learning, ideas, solutions. To help us stay grounded we choose the Elemental Earth. Swirl to blend well before each use. 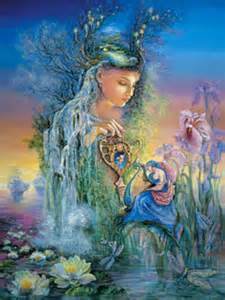 Wear, as a Body Perfume, to invoke the powers of the Earth, to bring money, prosperity, abundance, stability, and foundation. Use to attract the qualities of the element: endurance, stability, strength. 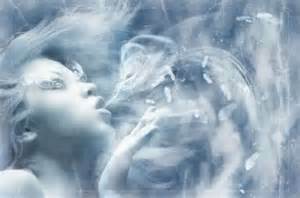 Also for grounding, for working with astrological and elemental signs of Earth. This is a very powerful oil to assist you in contacting the Earth elementals. A very good oil to use in grounding, stability, and money magic. 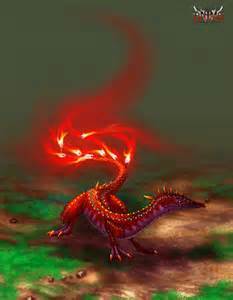 Today we are going to take a look at the Elemental Fire. The Salamanders know everything there is to know about the Fire element, both physical and psychological. Swirl to blend before each use. Swirl together before each use. Use this blend for Leadership, Passion, Personal Success, and Transformation. Today we are going to take a look at our last Elemental; Undines (Water). Undines are experts regarding Water. Swirl to mix oils together before use. Wear, as a Body Perfume, to promote love, healing, psychic awareness, and purification. Water is the realm of hidden mysteries, psychic senses, and peace. Wear this blend as a Body Perfume, in an Aroma Lamp, and/or anoint a candle to call upon this Elemental when working on any of the afore mentioned realms. Use this blend when you are working on dreams, psychic ability, sensuality, or increasing emotions. Helps to dispel fear from psychic attacks and helps with recovery from emotional abuse. I’m going to add a Full Moon Recipe in this post, since we will be working with October’s Full Moon soon. Swirl to mix oils before each use. Use for Full Moon workings, charging, empowering, invoking, fulfillment, accomplishing goals, and honoring the Mother Goddess. Anoint candles, use for ritual bath, and anoint members as the enter Circle. The Greek goddess Hecate reminds us of the importance of change, helping us to release the past, especially those things that are hindering our growth, and to accept change and transitions. She sometimes asks us to let go of what is familiar, safe, and secure and to travel to the scary places of the soul. 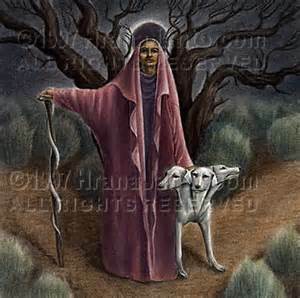 It is best to work with Hecate during the Waning Moon. Mix the Essential or Fragrance Oils into the Sesame Carrier Oil. Add the crushed and crumbled Mint Leaf. Swirl to mix before each use. Wear, as a body perfume, in Honor of Hecate, Goddess of the Waning Moon. As October comes close, once again, Halloween is almost upon us. 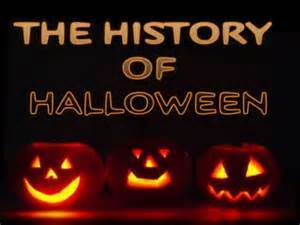 It is time to share a little history of Halloween with you. The word ‘Sabbat’ comes from the French word s’ebattre, which means to rejoice. The ‘Sabbat’s’ are days for joyous celebration of life and nature. ‘Sabbat’s’ are determined by nature; the Earth and Sun and the natural energy created by their relationships to each other. These days were important to our ancestors, who used them to help determine when to plant and when to harvest. Wear as a body perfume to any Sabbat celebrations. The history and origin of our modern Halloween takes in many festivals and celebrations from other times and cultures. One of these is the Roman festival Feralia. Feralia was a Roman feast that took place on February 21st. Although that’s significantly later than Halloween it’s still a winter festival and a likely contender as one of the forerunners of Halloween. Feralia was a one day feast that took place at the end of the longer Parentalia. Parentalia ran from February 13th to 21st and was a general feast to honor the dead. For most of the Parentalia the celebration was a positive one, honoring ancestors and family members. However on the final day things took a darker turn. At midnight on the day of Feralia the heads of the Roman families would address their less pleasant ancestors and evil spirits. The Feralia rituals were intended to control these malevolent entities and force them to return to the spirit world for another year. Failure to properly observe the rites of Feralia could lead to the spirits remaining on the earth where they would appear as ghosts and bring misfortune throughout the coming year. Once this “exorcism” had been completed the Romans could enjoy the happy family feast of Caristia the next day, February 22nd. The similarity between Feralia-Caristia and Halloween-All Saints’ Day is striking. This blend should be used in Aroma Lamps and/or Oil Burners placed strategically at the entrance to the circle, to ‘set the mood’ as participants enter. If you are not casting a circle for ritual, use this blend in Aroma Lamps and/or Oil Burners throughout your home. 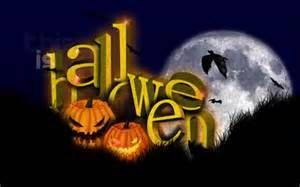 All Hallows’ Eve, is a yearly celebration observed in a number of countries on October 31, the eve of the Christian feast of All Hallows’ Day. It initiates the triduum of Hallowmas, the time in the liturgical year dedicated to remembering the dead, including saints (hallows), martyrs, and all the faithful departed believers. For this Recipe you will need the Powdered Herbs. Add the powders to the Olive Oil and heat slowly over a live flame until the powders have melted into the oil. Cool and apply sparingly for the Sabbat. All Saints Day is when the Catholic Church and some Protestant churches commemorate every saint, known and unknown. 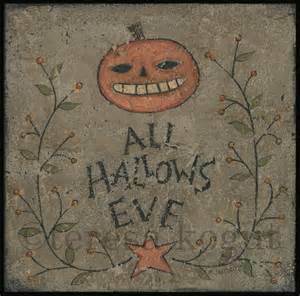 The eve of All Saints is known as All Hallows Eve, or Halloween. All Saints Day falls on November 1st. 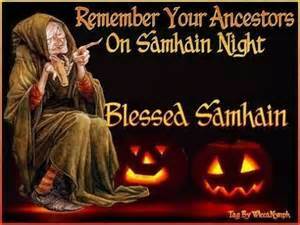 The vigil of the Feast (the eve) has grown up in the English speaking countries as a festival in itself, All Hallows Eve, or Halloween. 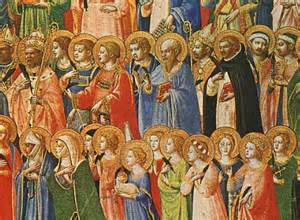 While some Christians refuse to observe the holiday, considering it to be “pagan,” as far as the Church is concerned, the date is simply the eve of the feast of All Saints. Many customs of Halloween reflect the Christian belief that on the feast’s vigils we mock evil, because as Christians, it has no real power over us. David Morrison explains the proper relationship between Christians and Halloween. Various customs have developed related to Halloween. In the Middle Ages, poor people in the community begged for “soul cakes,” and upon receiving these doughnuts, they would agree to pray for departed souls. This is the root of our modern day “trick-or-treat.” The custom of masks and costumes developed to mock evil and perhaps confuse the evil spirits by dressing as one of their own. Some Christians visit cemeteries on Halloween to commemorate departed relatives and friends, with picnics and the last flowers of the year. The day after All Saints day is called All Soul’s Day, a day to remember and offer prayers up on behalf of all of the faithful departed. In many cultures it seems the two days share many customs. Swirl to mix thoroughly before each use. Wear as a Body Perfume on the Grand Sabbat of Samhain (Halloween). This is a Work In Progress so, check back often for updates. Feel free to contact me about any questions you may have pertaining to using carrier oils, essential oils, fragrance oils, and/or herbs in healing work. Please put ‘Aromatherapy – Healing Work’ in the subject line. Feel free to contact me about any questions you may have pertaining to using carrier oils, essential oils, fragrance oils, and/or herbs in magickal work. Please put ‘Aromatherapy – Magical Work’ in the subject line. Feel free to contact me about any questions you may have pertaining to using carrier oils, essential oils, fragrance oils, and/or herbs in spiritual work. Please put ‘Aromatherapy – Spiritual Work’ in the subject line. Beautifully written and always so informative! You are gifted! Thank you for posting my link. Hi I’m trying to do a money spell I’ve never done this before so I was wondering if the spell would work I combine a combination of either olive oil and nutmeg season together or olive oil and cinnamon season or baby oil gel and either nutmeg season or cinnamon season together or cooking oil and either nutmeg season or cinnamon season together ? The only Green candle I’ve got is Brazilian Bamboo Wood made by Better Homes and Gardens would any of these combination’s work for the money spell?